Matthew from NerdNewsToday and I are back with more blind bag fun! 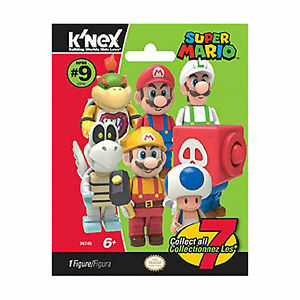 This time, it's the Super Mario Blind Bags from K'Nex. I've been a little behind on all things K'Nex. I hadn't realized they were making blind bags. This is Series 9. Where was I for the other 8? Watch and see. Do any of you have the other series? What are your thoughts on them?